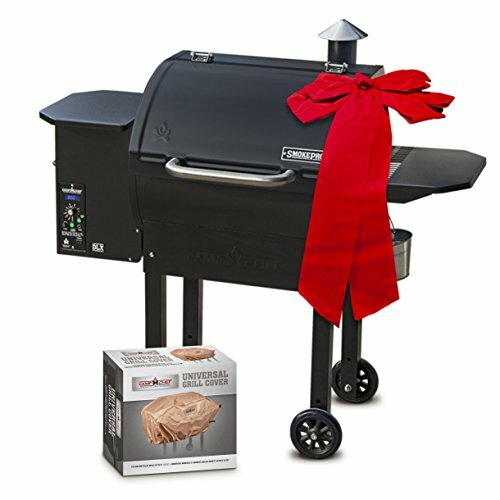 Camp Chef is banging on all cylinders to offer a killer deal on a premium full-feature pellet grill smoker at an all-time low price (for a limited time). The SmokePro DLX PG24 pellet smoker sports more features and functionality than even top-of-the-industry competition can match (hence the great online reviews and almost unanimous favor of Camp Chef in comparison videos). Like mentioned before, this full-feature pellet grill smoker deal is available for a limited time, so get yours now! Have it delivered to your door for free. If you have any questions about this product by Camp Chef, contact us by completing and submitting the form below. If you are looking for a specif part number, please include it with your message.